TAGBILARAN CITY, Bohol, October 26 (PIA)—Traffic related incidents are getting fewer and fewer through the months from a very high 10.9 incidents per day in March to 5.6 daily average in September, or a 51.37% reduction rate in the last six months. 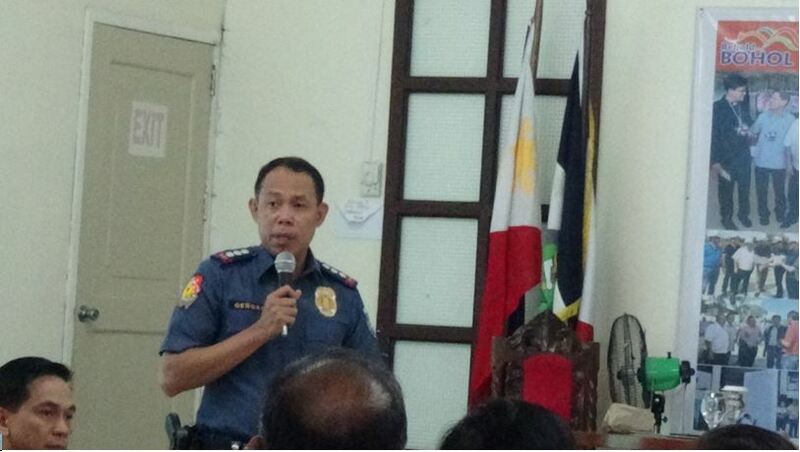 According to consolidated police reports delivered by Bohol Provincial Police Chief at Camp Francisco Dagohoy during the recent joint Provincial Peace and Order Council (PPOC) and Anti-Drug Abuse Council (PADAC) meetings at the Conference Hall of the People’s Mansion, Police Senior Superintendent Angeles Geñorga showed that in March, Bohol’s traffic related incidents (TRI) peaked at 338 cases. It may be recalled that Bohol police started implementing the Philippine National Police’s anti-crime Operation Plan Sita (OPLAN SITA), where Camp Dagohoy mandated all police stations to put up road checkpoints to check on the driver’s compliance to traffic rules and safe driving policies. By April then, crime statisticians at Camp Dagohoy immediately noticed the 73 TRI less in the monthly non index crime trend. By June, with the continued police operations and their increased presence in the streets, the 266 TRI cases in May drastically dipped to 215; some 51 TRI cases less. In July, the police traffic operatives and the entire force stepped on the brakes for traffic accidents in Bohol as they staved off 19 more incidents in the monthly average. TRI in July totaled 196, according to the presentation which Pssupt. Geñorga showed to the two councils in a joint meeting. When the traffic incidents reached 190 in August, observers surmised that it could be the end of the downward slide as apparently, the decrease has tamed off. In September however, council members saw an even better police performance in imposing discipline and order in the streets, as shown in the recorded decrease of cases. The dipping trend in traffic related incidents also embellishes the 13% decrease in the monthly average crime volume for the island province from last month to September. That means, from 324 crime cases in August, the cases plunged to 287 in September, according to Supt. Geñorga. The data however did not include traffic related incidents. Earlier, in previous meetings, some council members have asked the police to separate the index and non-index crimes especially traffic related incidents. The request was to determine how much of the traffic related incidents are bloating the crime data and marring the true peace and order situation in Bohol. And true enough, without TRI, the average monthly crime rate in Bohol slipped from 23.50 to 20.81. And just as authorities now look at the stricter compliance in the helmet law and the traffic code, police data showed that there has been a decrease in motorcycle accidents from a high 198 in March to a down trending 137 in September. With the helmet law strictly implemented since the beginning of March, Boholanos have found that from 198 cases of motorcycle accidents in the same month, 142 of those involved were injured, 45 unharmed and 11 died.